This morning I sold out. Les Années 25 is basically gone. The fragrance is still available as miniature (here is the link) . I made around 500 full size 50 ml bottles (a bit more actually, to compensate for store testers that do not sell). What I kept in my stock to serve my online store clients : it is all gone. And now? Well, I guess now I start thinking about next spring. I have some ideas there, but my lips are sealed. And before getting into spring thinking mode: I need to get used to the idea that the holidays are less than 60 days away. Wow! Time to work on that stock level. Picture: from last year. part of my promotional picture making efforts for the holidays 2017. This year, I will go for some lighter pictures with more blingbling. It is 40 days from here to X-mas. And believe it or not: I have the impression that I can already feel it. Shipments take a touch longer than normal and the queue at the post office is a touch longer, too. Thus, a bit early ( I know) but still: if you consider getting presents, do not wait too long. The last week before X-mas: everyboy, my retailers and me will work hard but cannot promise anything. Having said that: a piece of advise or two. If you want to give perfume as a present: only do so if you are 100% sure that it will be the right one. Except where explicitely wished: I think that perfume is not an ideal present. It is very hard to find the right one. I recommend other gifts, such as soaps, that are better suited. 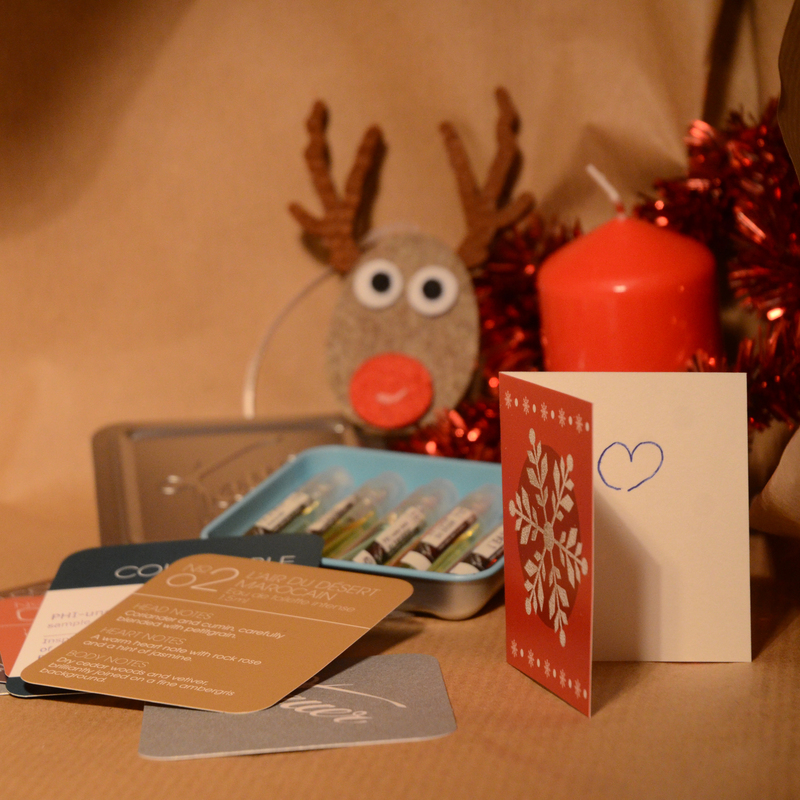 And vouchers for perfume, maybe combined with samples. That works. Anyhow: here, we are shipping miniatures like crazy which is nice. And in the factory I am working on inventory for what happens early 2018. These days, you can really feel how many economies are on the upswing. I do not expect this to last very long, I am always a bit on the pessimistic side there: too many factors that speak against it. But right now: there is a lot of optimism everywhere. It feels nice but I think it is important to always keep in mind that this will change sooner or later again. So I am working on building up inventory but I try to be as much as possible on the lower end, investing carefully and rather have a fragrance not being available for some time then having shelves that overflow (basically it is cash sitting on shelves). I know that there are scientific theories and studies about how to buy stock, when to stock up with how much for what item in a production scheme. I guess I am just too lazy. I do it all following a gut feeling. So far that worked very well. The other day, a client wrote me about another scientific study: it obviously turns out that personal messages (like Enjoy! Andy Tauer on a card going with full bottles) have an impact. (Yes, I would have guessed that). But obviously the color of the handwriting makes a difference, too. Green is the color to pick. So there you go. Imagine! Yes, I started to write some personal messages in green. 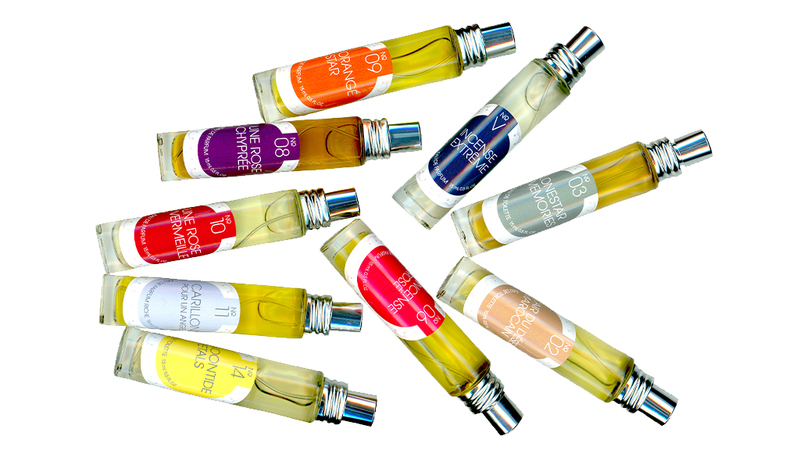 In a good week from now, I will be traveling to Florence for the Pitti Fragranze, THE niche show in Italy, next to Esxence. I am very much looking forward to it. There are not too many Swiss brands there and I am one of the few showing up there who still produces (mostly, as the Tauerville flash scents are produced in the US) in Switzerland and not Italy/France/Germany/UK. In that sense: I have an exotic bonus. Pitti is one of the highlights of the year because I get to meet a lot of colleagues, the team of my local distributor, KAON, and clients. I do not go to Italy that often. Actually, there are years where I travel to the US more often than to Italy although I am selling more bottles there than there. Italy was and still is an important market for selective perfumery. Although Italy is in constant crisis mode: people still buy perfume. Maybe even more than before, or more selectively. Every year, I feel that Pitti got bigger and that more brands are there with more novelties. Having said that: there is not enough room for all of us. Even the Italian market is overflooded. In that sense: good luck to all of us. Thus, I am curious to talk to colleagues, too. What they experience and think. Some colleagues have become close and we share; a lot! Last year, I brought a polaroid with me and took a lot of selfies with perfume lovers on polaroid that I shared in the social media on one picture later in the evening. I wonder whether I should do it again. And I wonder whether I should go live on Facebook from time to time. It is not easy as I do not know how to deal with perfume lovers sending comments while I am live. I somehow cannot talk and show and read comments at the same time. We will see. 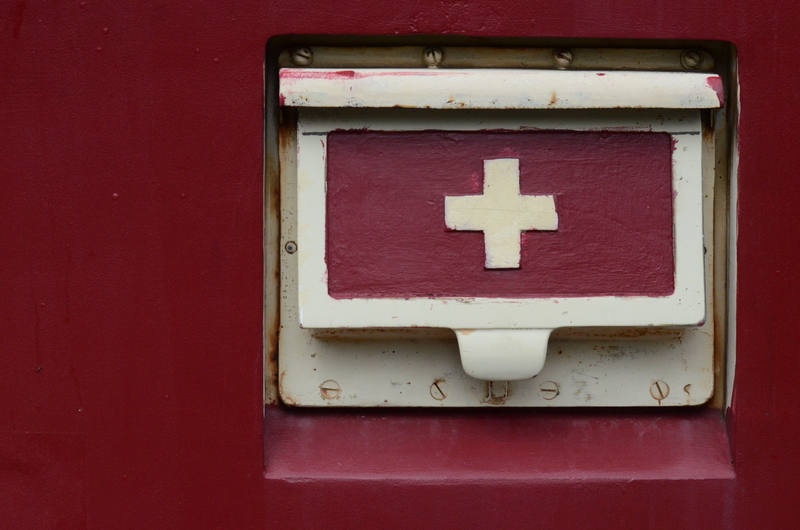 And today's picture: from an old post train that I have seen while hiking on Sunday. Yesterday, the sun showed again, after a couple of days under a thick fog cloud. I went jogging, up the hill, and found myself in a fairytale landscape. 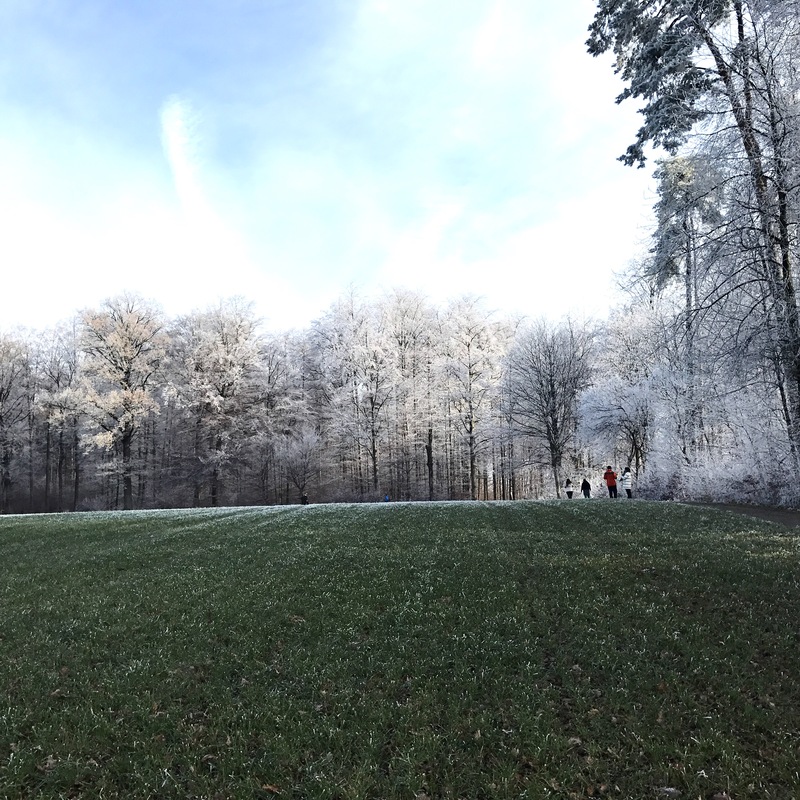 All trees glittering in bright sunlight, covered with white frost. Amazing! The picture only vaguely reflects this magical moment. What a perfect start the jogging in crisp but clean air. It was very inspirational (think my clean/clear/soft scent that I am working on). When jogging -and as I have a pretty long Sunday jog of around 21-22 km through the woods and fields and returning home along the river- I have a lot of time to reflect; and quite often I think about what I have read, some blog entries sometimes, but not that often anymore as I do not read the blogs: More on a random base based on what's appearing in my never ending facebook feed. Some of these posts these days are so horrible that I get into private conversations with perfume creating friends from the world. Few of us dare telling the truth, publicly, however. I do not really know why nobody from the other side starts fighting some of this sh$$$, as the online communication about perfume in the blogosphere became irrelevant. Contrary to the situation it was 12 years ago. But still: No fighting back. No discussion really. Strange. Maybe it has to do with their irrelevance. When I have a bit more time after the holidays, I will have to pick one of the posts that kept me going thinking "am I the only one who thinks this is so wrong?" and write a memo, here. Hyacinth and a mechanic is part of the tauerville collection. And there, in tauerville, it is special. 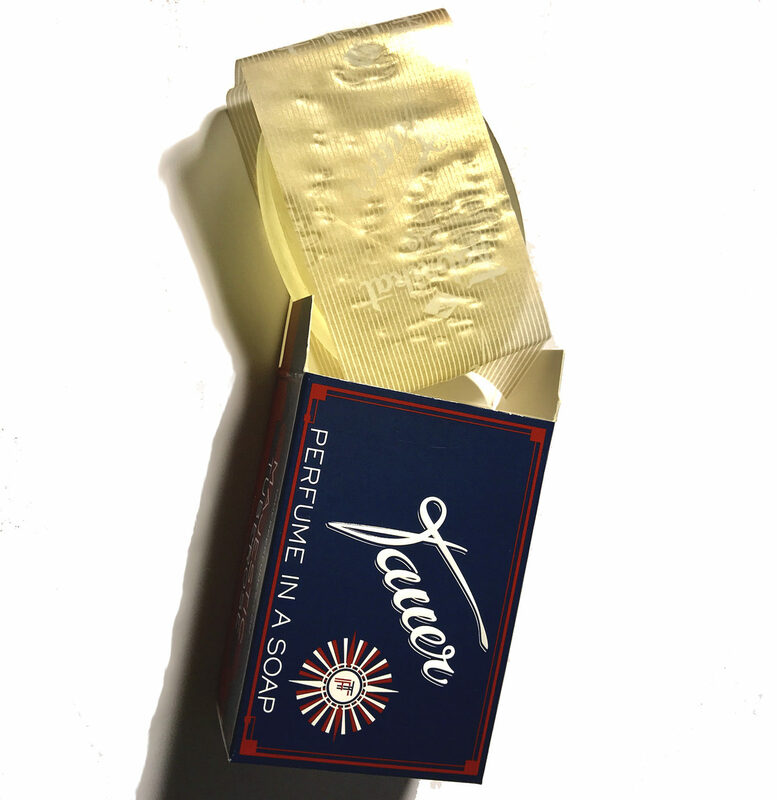 It is the first of a couple of scents that I do not sell online and nobody does. It is only available during events, hand-to-hand, while I am in store. I think that online is wonderful, but at the end of the day, perfume is also about talking face to face, physical, telling stories, smelling together and beyond that: living in a time where everything is available everywhere, I wanted to make a statement. No, you can't get this online. No easy 1-click purchase of a sample. No. Not with this one. It is too precious. Ah... don't get me wrong. The price of Hyacinth and a mechanic is moderate. It is precious in a different way. Fragrant greetings! I was in the US, haven't talked for a while, too, and got back and got sick. But now I am back up and running. Right now, I am actually on my way to Turin, where I will give a little speech about "clean". Exciting. And I came up with a short video where I am talking about what I will do during the advent time; for me always a time of giving, too. This morning I got up and realized: Wow! Snow on the top of the hill on the other side of town. A nice and welcome reminder that winter is coming, for sure, and with it the season, the holidays, x-mas and all. Actually, it is just a couple of weeks from now and we will be in advent mode. This appearance will rock for a couple of reasons, surprise, surprise... I will write about it a couple of days before getting there.
" why don't you ship here (Italy, Haiti, Swaziland... you name it)? " " I love your products but can't buy right now. Please send anyhow (no kidding)"
"My credit card does not go through. Please ship by email (no kidding)"
"Is it cruelty free?- is it gluten free?- can I send the packaging back for recycling?- give me the formula of what's inside! - how did you do it?- I ordered yesterday and it did not arrive yet". "I wish it came as body lotion. Why don't you make one for me". So there you go. I will be heading for the factory now and sooner or later will put the soap online. You will learn about it here, on the blog. Thanks for following! general thoughts , what's up? So I am back from Saudi Arabia, back to normal, with orders and packing perfume and water droplets sitting on the railing of the balcony after a night with rain. What a contrast! I have taken a lot of impressions and memories back to Switzerland. 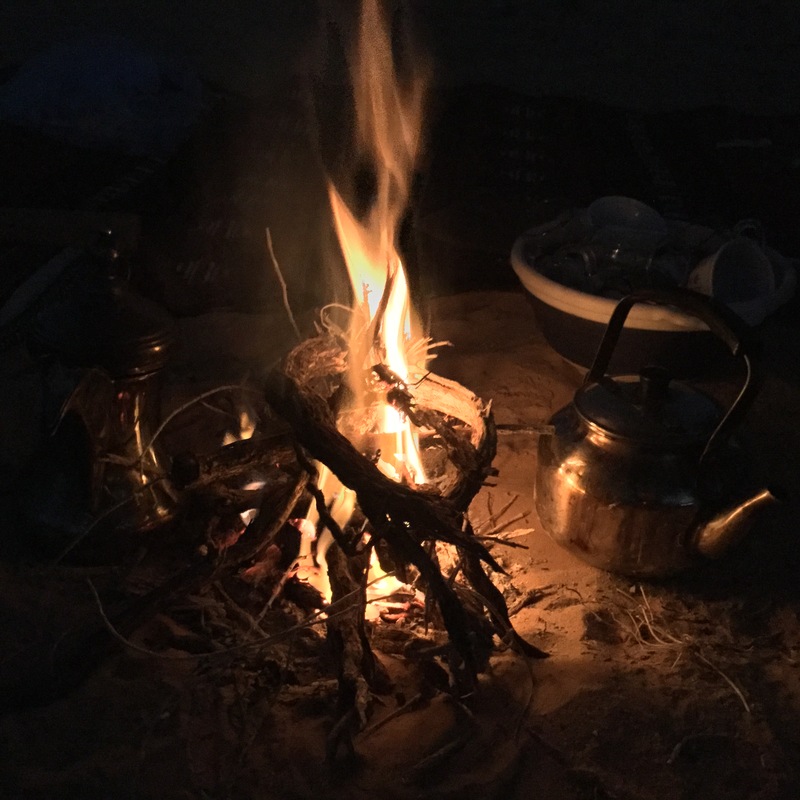 One of the nicest: Tea in the desert, with the sunset over sandy hills, and story telling until the stars appeared, organized spontaneously by Amer, a perfume loving fan from Quassim, the area where they produce the biggest and finest dates in Saudi Arabia. The hospitality that I was blessed to experience is unmatched by anything in the past. Often I felt humbled and did not feel like I deserve it. Scent impressions: Many. The strongest. An Oudh, bought in the souq, a gift for me, bought from a dealer who does not sell oudh regularly, sort of under the hand, a dealer that is trusted as he sells to the family for decennials. This, the oudh, I wore during the event at Harvey Nicols where the L'Odore store is situated (my sales partner in Saudi Arabia, with 6 stores in the country): It is out of this world. 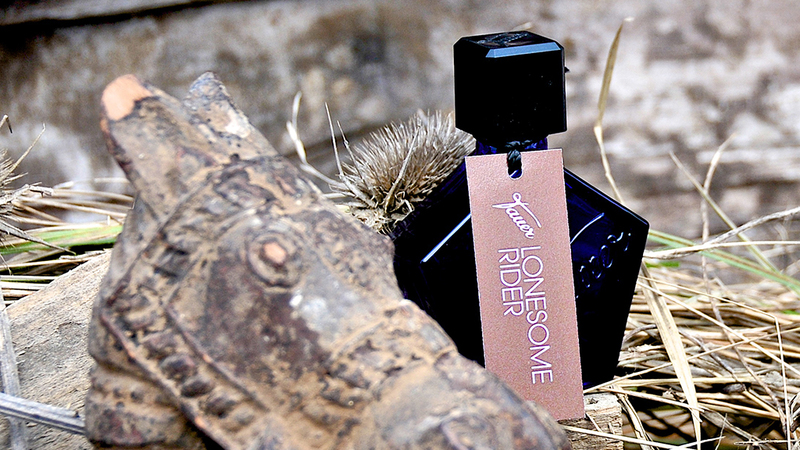 Yes, this oudh is inspiring and will make me dream of the Arabian desert for many days to come. Today's picture: The smoky, heavenly scented smoky, fire in the desert. So I am back from Pitti, the fragrance fair in Florence, Italy. It still feels like I am in the midst of a big Tauer Perfumes cloud after 3 days of intense spraying and spritzing and talking about my creations. Time to get back to crisp and clear Swiss air. Pitti is a glamour world, with a lot of gold and black, strong evocative visuals, perfume bottles without end, and in the middle somewhere, a guy in jeans and bright sneakers: Andy. 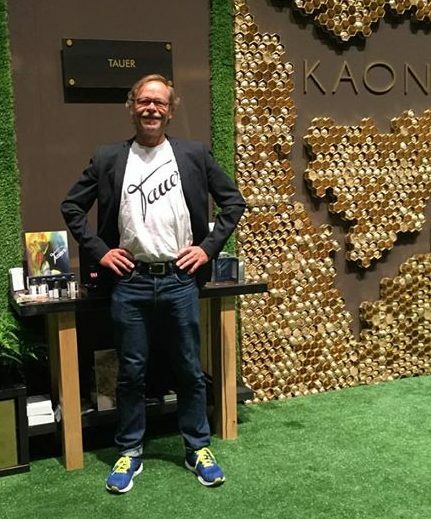 Looking at it from a distance sitting here in Zurich and trying to get control of what feels like the perfect communication storm, I realize that the Tauer guy at the stand, me, is probably one of the only perfumers there in sneakers. 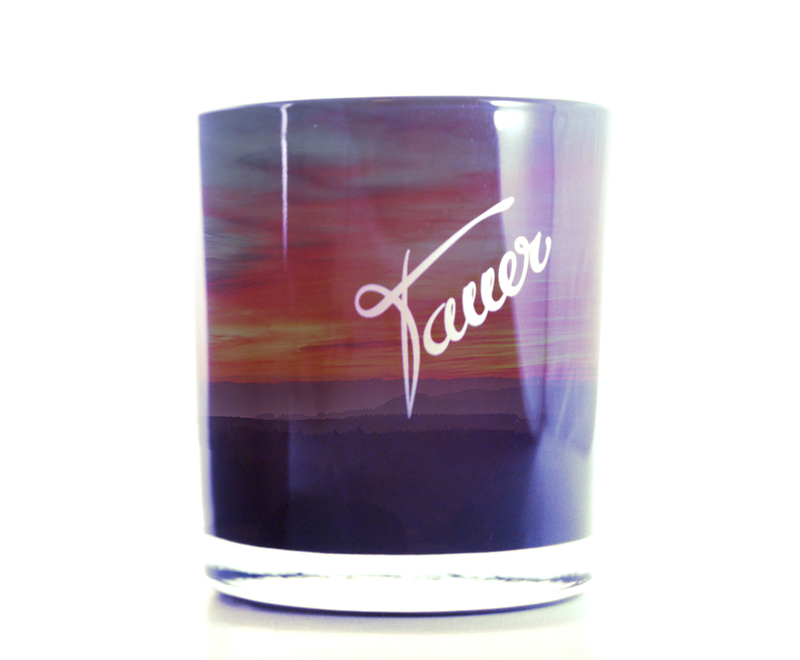 I made a TAUER T-shirt: That was neat. But otherwise: Andy is a bit displaced there. Or is it that he's at the perfect spot? I think, me, Andy, is there at the perfect spot because what I do is a bit different. There were about 250 perfume brands at Pitti. Some brands, houses, I highly appreciate for their honest and authentic appearance, like Sarah from 4160Tuesdays or Oliver from Oliver & Company or Olivier from Olivier Durbano or Neela from Neela Vermeire and some others. We all share one piece of DNA. Phenotyp: Authenticity. For 11 years Andy is playing the perfume selling game in a corner of the industry, referred to as niche, and with every year passing by, the corner gets more crouded and confusing. So I am standing there, still not bought by Esthee and not financed by Puig, with what I have to offer and wonder where we are all heading and my Italian friends come by, visit my stand and wonder about the same questions, too. Because they are in the know. They, perfumistas, and average consumers, do not buy in department stores, there are less of these mall kind environments anyhow, but they buy in perfumeries that are abundant, also for selective perfume offerings. In this country where you stumble over historic mementos of rise and fall of empires on every corner you have more selective perfumeries than in the entire US. Think: 10 times more. Italy is different. And so are the Italians. You cannot cheat them into buying an industrial salami by telling them it's the real thing. There is this thing in Italy that always amazes me; they all seem to be born with a style gene. The resulting phenotype: Whatever they put together it comes with style. And before leaving the house: Perfume makes the difference. Italy has always welcomed Andy with cheers, and the Italians forgive the Swiss guy his missing style gene, but love the fact that his perfume creations are different because the Italians, they know their perfumes. Again: It's in their genes. 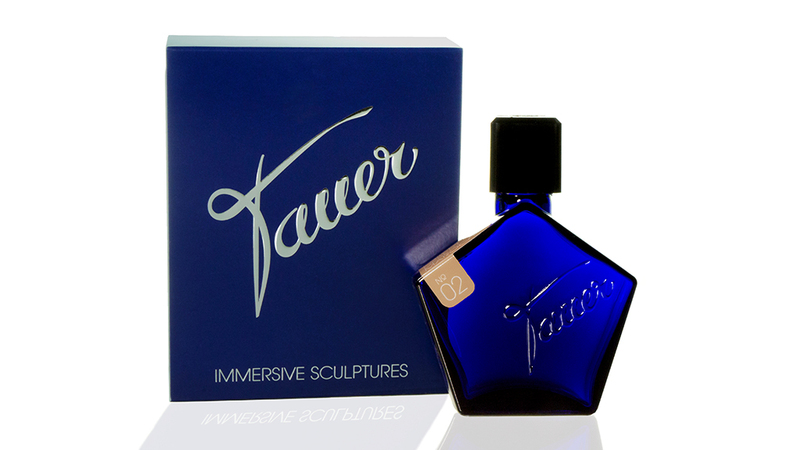 So I presented two novelties, one in Tauerville and one in Tauer Perfumes. Both novelties will be talked about here and there; the Italians deserved to get them first. 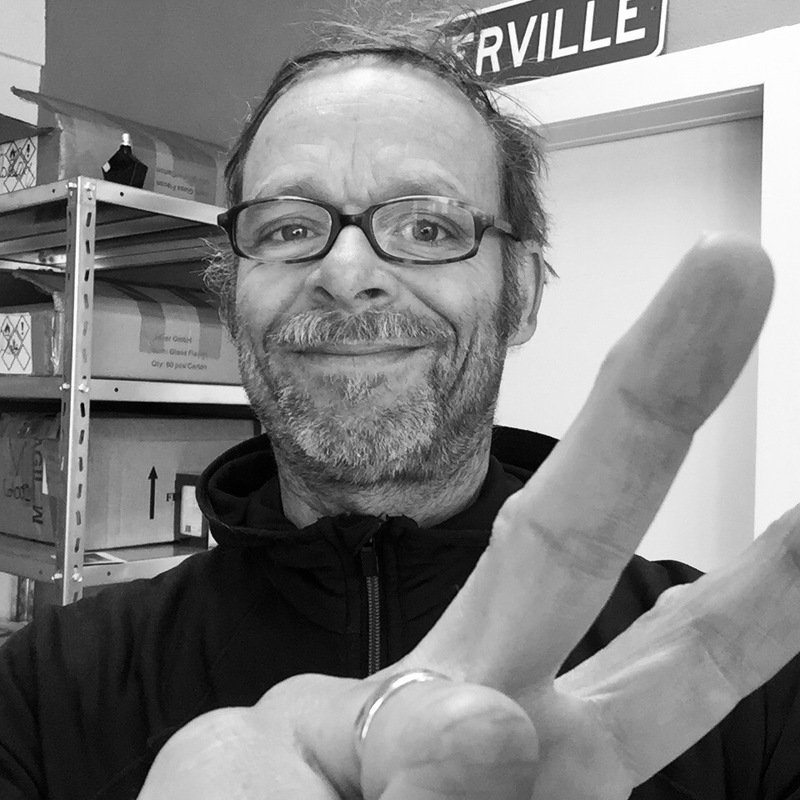 Now, I use my Swiss busy worker genes to build up stock (we sold too much in Italy) and to continue telling the story to you, too. As I was jogging in Florence, running my way through centuries, I met David, the white marble beauty, the amazing, eternal, and I could not but look up and feel humble. Today's little picture shows you a shipment that is on its way today and an idea of how to better pack a full bottle order. First, there is a discovery set in there that I ship complimentary with a full bottle order. The discovery set can be added by shoppers to the shopping cart and the shop gives a discount for the discovery set's price. 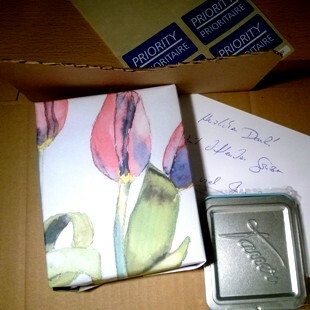 Then, and that is new, I printed out one of my aquarelle pictures (I just picked one to test and see) and used this A4 sheet of paper to pack a full bottle packed in the tauer tin box. At the bottom, there is a "thanks" label. The A4 sheet of paper works perfectly and I think the packed perfume looks nice. It's a special touch. Just from an esthetic point of view it looks nice. Next: I want to come up with an A4 picture, maybe a collage of pictures painted by Andy, flacon pictures, logo, a core statement etc, to give a little overview in picture form what tauer is all about. I feel that this is important these days of too much of too similar. Also next: I will have a meeting soon, with a representative of the Swiss post, trying to find a solution for my shipping problem into the EU, not Italy, but Germany, France, the Scandinavian countries and maybe a few countries in the eastern part. We will see...at least we try. It feels a bit like Avis here " we try harder" :-).